Put simply, you need a strong core. Whether you’re an athlete or someone who works in an office, a strong core is critical for your performance and health. Beyond the aesthetic benefits, a strong core helps to create a rigid torso so your limbs can move freely. A strong core can also reduce injuries—especially to your lower back—while connecting your lower-body strength to your upper body to produce power for throwing or swinging a bat. To develop core strength, I recommend focusing on anti-extension and anti-rotation exercises. 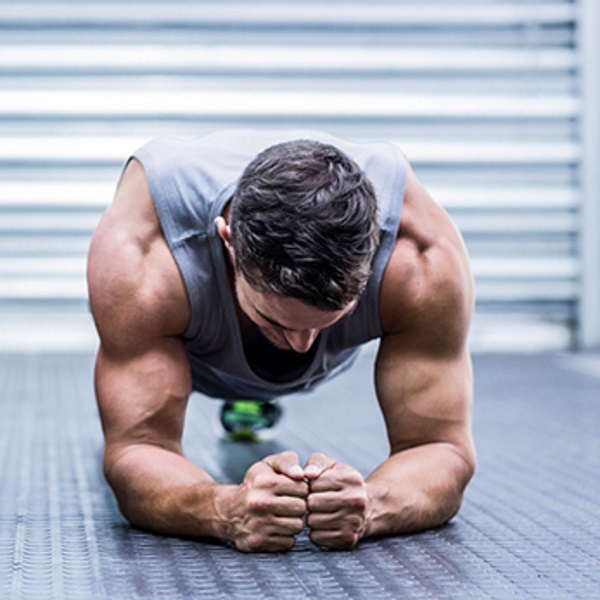 Anti-extension exercises like Planks train your abs to keep your lower back from extending; and anti-rotation exercises strengthen your core’s ability to resist rotation around the lumbar spine—two essential skills for athletes. 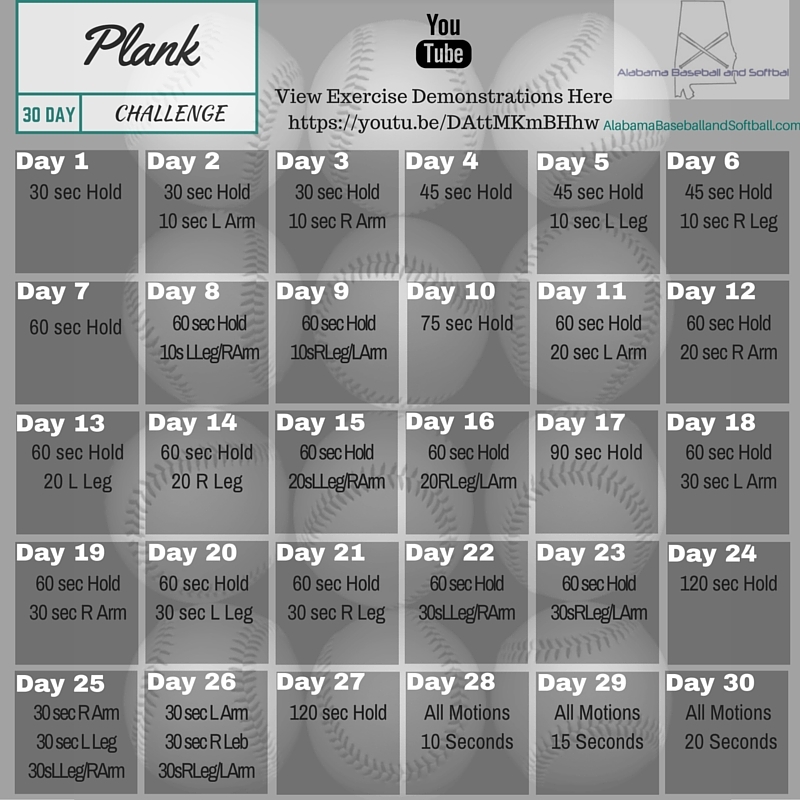 Plank Hold – Standard Planks with your forearms and toes on the floor. Place your forearms in line with your shoulders and your feet shoulder-width apart. L Arm – Extend your left arm in front of your body. R Arm – Extend your right arm in front of your body. L Leg – Lift your left leg off the floor to hip level. L Leg/R Arm – Simultaneously lift your left leg and right arm.